Customer support software you and your customers will love. Focus on helping your customers, not configuring the tools to help and support them. Kronodesk is beautiful on the outside and powerful on the inside. You can be up and running, with a live help desk in moments. Give Kronodesk a customized look and feel in a few minutes. Then get roles, permissions, forums set up over a cup of hot chocolate. Your customers can get support fast and get back to what matters: enjoying your product. When they need it, Kronodesk helps them help themselves. When they need you, Kronodesk's powerful ticketing system gets customers in touch with you from anywhere. 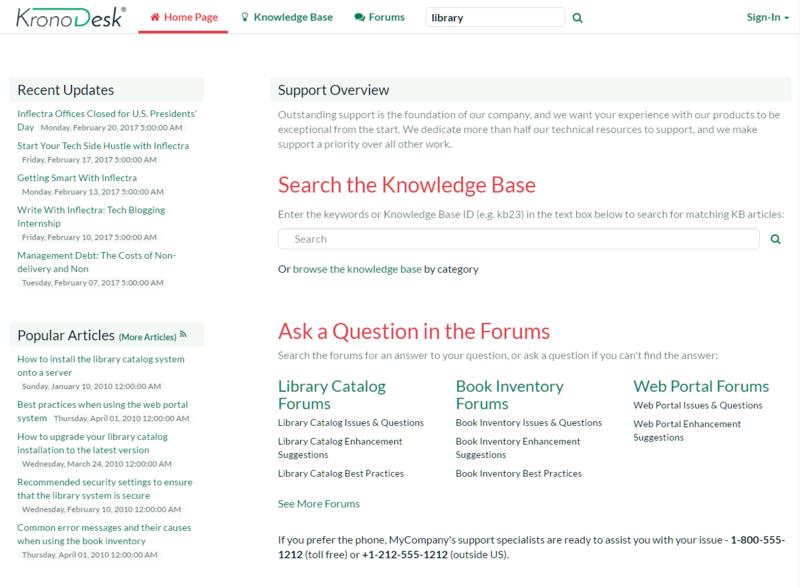 A one stop support hub lets them see all their conversations and questions at a glance.